Many in the White House seem braced for bad news — which is odd considering President Donald Trump has already claimed complete absolution from the special counsel. But that pessimism is also shared by the President’s Democratic enemies. Once, Mueller’s report loomed as a moment of national catharsis that could finally lay out what happened in the bitter 2016 election and put the Russian election meddling saga to rest. But after 2,800 subpoenas, 500 search warrants, 500 witness interviews and partly because of a relentless campaign by Trump to discredit Mueller, it’s clear that such hopes were misplaced. The report will almost certainly leave everyone on both sides of the aisle unsatisfied and will only spark deeper divides in a nation that is already split down the middle over Trump. The drama surrounding its conclusion is now most likely to serve as a monument to Washington dysfunction, the irreconcilable viewpoints of warring political factions on common facts, and to provide another data point for those who believe the current White House is determined to resist constraints on its power. One key reason why is the role of Attorney General William Barr, who will release the Mueller report — shorn of grand jury testimony, classified material and evidence pertinent to active cases. His approach is all but certain to trigger a long legal battle with Democrats demanding a version of the report unfiltered by the administration. The attorney general’s statement last month that Mueller did not find collusion between the Trump campaign and Russia, and the special counsel’s personal conclusion that there was not sufficient evidence of obstruction of justice, set a hugely helpful narrative for the President and inevitably politicized the unveiling of the report by Mueller — one of the rare people in Washington who enjoys bipartisan respect. Barr was already a controversial figure — after arguing in a memo to the Justice Department that Trump, as president, could not obstruct justice before he was nominated. His comment last week that he believed there was “spying” on the Trump campaign — a key White House talking point — shattered any lingering chance that he would be seen as an honest arbiter, and furthered an impression that the administration was leaning on the scales of justice. One of the curiosities of the Mueller investigation is the way that Trump has often acted as though he has something to hide, despite furiously protesting his innocence. “No Collusion — No Obstruction,” Trump tweeted on Tuesday, not content to wait for the outcome of a report that Barr concluded left him in no criminal jeopardy. But Trump is not alone in experiencing an odd sense of limbo ahead of a moment that could help history define his presidency. Current and former White House officials are fretting that the report could be politically damaging and expose their own embarrassing testimony about the President, CNN reported. The White House spin in the days leading up to the report’s release has stressed Barr’s findings delivered in a letter to Congress in the hope that Americans are ready to move on from Russia with the 2020 election ahead. “We consider this to be case closed. That there was no collusion, there was no obstruction which I don’t know how you can interpret that any other way than total exoneration,” White House press secretary Sarah Sanders said on Fox News Sunday. In their own way, Trump’s enemies in Washington are also reasoning that the country may have deeper concerns than Russia, while still arguing that their constitutional duty requires them to call his behavior to account. Democratic leaders, while stressing that they see Barr as a partisan who does not have the final word on the Russia saga, are still downplaying talk of impeachment, apparently hedging in case the Mueller report is not as damaging to Trump as many liberals had hoped. House Speaker Nancy Pelosi on Tuesday accused Barr of declaring that Trump “is above the law” but stressed in an interview with CNN that she would wait until seeing the report before reacting. Nonpartisan legal analysts are also concerned. They fear vast redactions from the report will not only deprive Americans of evidence they deserve but will ignite ferocious legal battles. The drama surrounding the report is certain to tell a story of how the President has suspended political gravity. Barr reported to Congress that Mueller did not find that Trump’s team conspired with Russia in its election meddling effort and that he had personally concluded the evidence was not sufficient to establish that the President obstructed justice. But there is a clear possibility that the report still contains evidence of questionable and unethical — just not criminal — behavior by Trump’s team in the run up to the 2016 election. Russia watchers will be keen to see what Mueller made of the meeting in Trump Tower in the summer of 2016, for instance, between members of Trump’s family and campaign team and Russians promising “dirt” on Hillary Clinton. And since Barr wrote that Mueller did not make a final conclusion on obstruction — but sets out “evidence on both sides of the question” — it is likely that Trump could come across in a very poor light, even appearing to have abused his power and the spirit, if not the letter of conventions, designed to ensure the independence of the Justice Department. For any normal politician such a conclusion — though short of criminal jeopardy — would likely spell disaster. And so solid is Trump’s appeal to his political base that it seems impossible any revelations by Mueller could cause GOP senators to split with the President in any Senate impeachment trial. Still, anything less than absolution by Mueller would also deprive Trump of the chance to rid himself of the Russia cloud that could still cause complications in his 2020 reelection race and is certain to help history define his presidency. That’s one reason why Trump’s lawyers are preparing their own rebuttal of the Mueller report. The President came to his own defense on Tuesday. “There can’t be anything there because there was no crime, there was no anything, the crime was committed by the other side. This crime was all made up, it was all a fabrication,” he told KTSP television on Tuesday. Though it’s clear that the Mueller report will not spell the end of the Russia intrigue — there are already calls for him to testify on Capitol Hill — the special counsel could still solve some overhanging mysteries. His report, presuming the need to keep intelligence sources and methods secret does not preclude it, could contain the most detailed accounting yet of the Russian election operation. 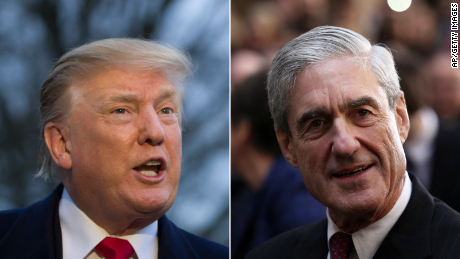 Mueller’s report could also help solve the mystery of why he felt unable to render a conclusion on whether Trump obstructed justice in order to thwart the Russia investigation. Trump’s opponents have argued that his firing of then-FBI Director James Comey, assaults on the integrity of his then-Attorney General Jeff Sessions, attacks on the Mueller probe and apparent dangling of pardons amount to obstruction in plain sight. It is not clear yet whether Mueller agrees — and whether he opted to leave such questions of presidential behavior to Congress. Such questions, which lie at the center of the Russia investigation, are likely to feed multiple probes already underway in the Democratic House that will continue to haunt Trump. Republicans, meanwhile, are sure to portray the report as a reason to launch new inquiries into the previous Obama administration and the genesis of FBI investigations of the Trump campaign.